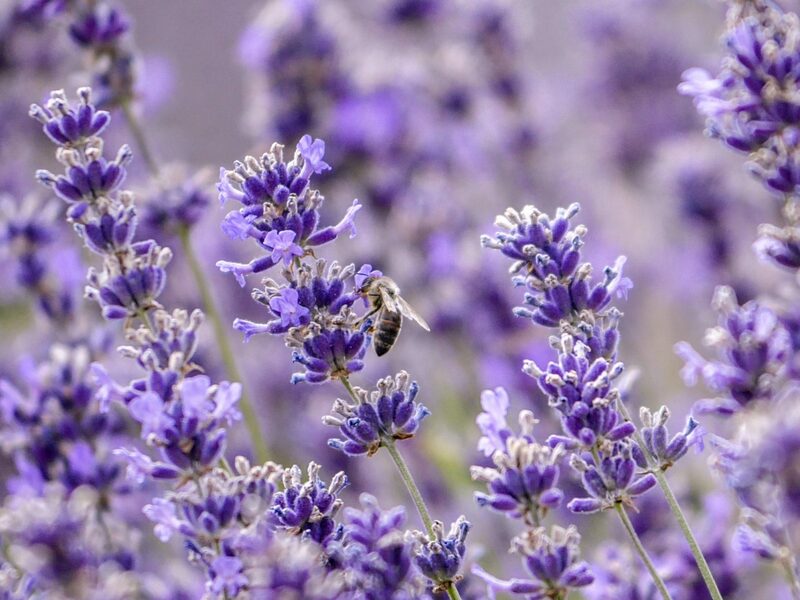 Up until around 20 years ago, the highly versatile perfumed purple plant which was first introduced to Britain by the Romans, and once carpeted the English countryside during the summer months was in decline. This was due to cheaper imports and suburbia infringing on our countryside along with the plant generally going out of fashion. 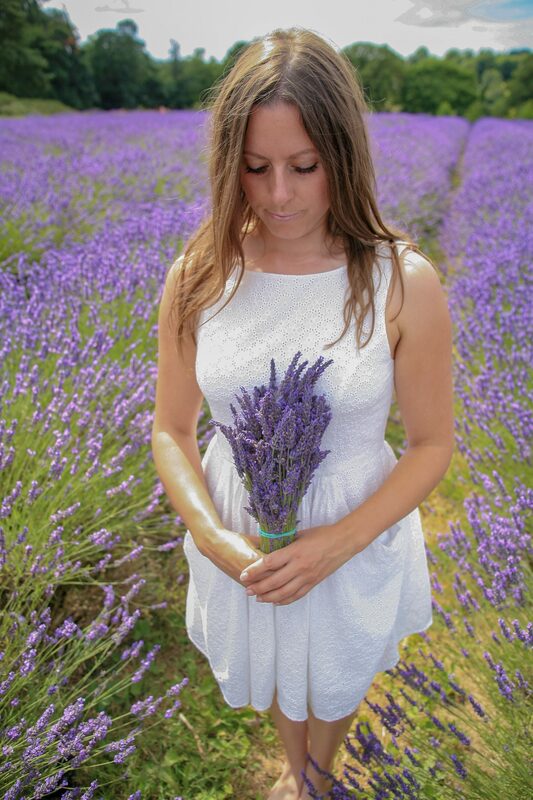 Thankfully though English lavender fields are making a mass reappearance across the country. This revival has been said to be driven by people seeking healthier lifestyle choices and turning back to natural medicines and remedies. 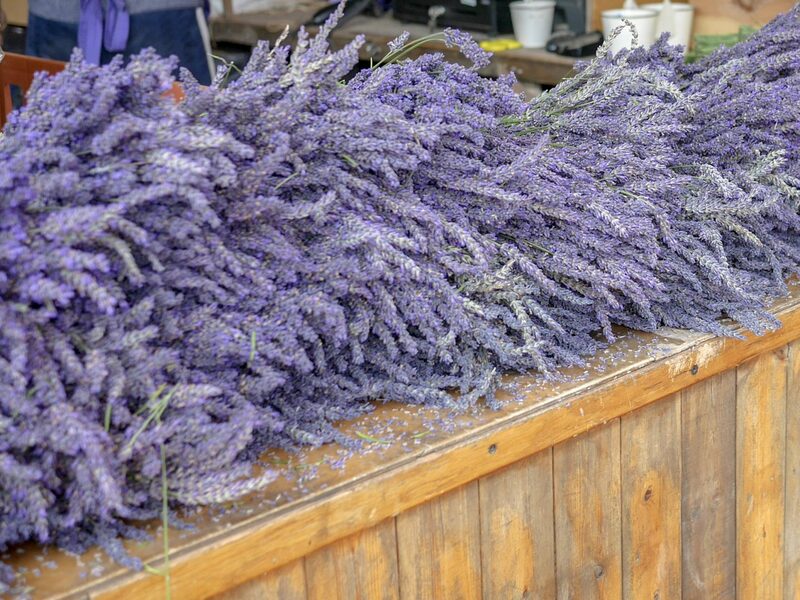 If I think back, I actually can’t remember a time living at home with my mother where we did not have a few different lavender products in the house (mainly to be used for the four legged residents)! 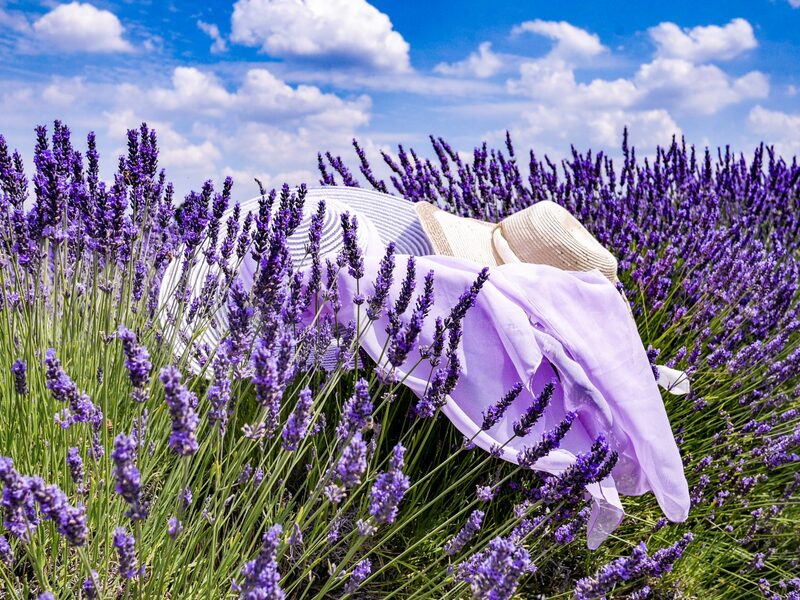 Having seen the benefits of lavender while living at home, I have continued to use it in many forms in our own home, be it to aid sleep, reduce anxiety as well as using it for soothing and healing purposes. 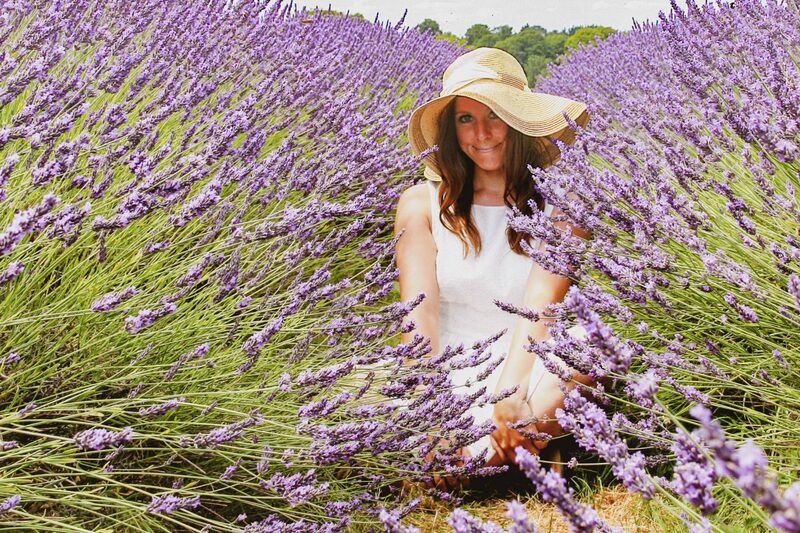 This summer I have for the first time, been enchanted by it in its purest form after visiting two lavender farms in as many weeks! 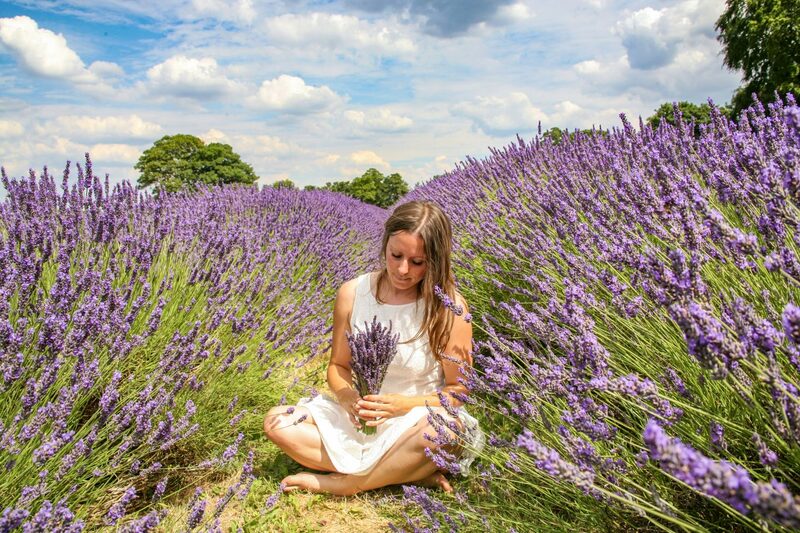 Firstly with Chris and the dogs during our visit to the Cotswolds, where we spent time walking around Cotswold Lavender Farm, and a week later on an afternoon out I had booked for Lili and I to indulge in two of our much-loved past times…. Afternoon tea and playing with cameras! 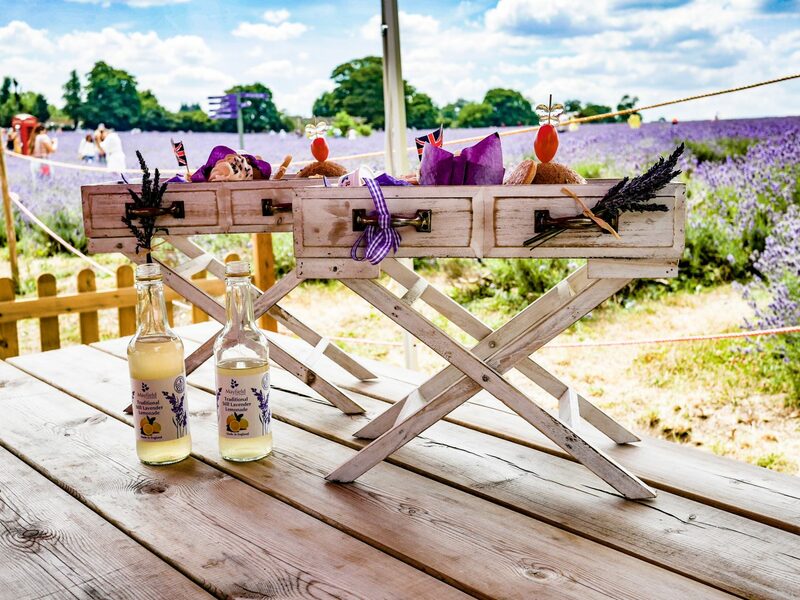 I had booked us a “Deluxe Afternoon Tea” at Mayfield Lavender Farm in Surrey. 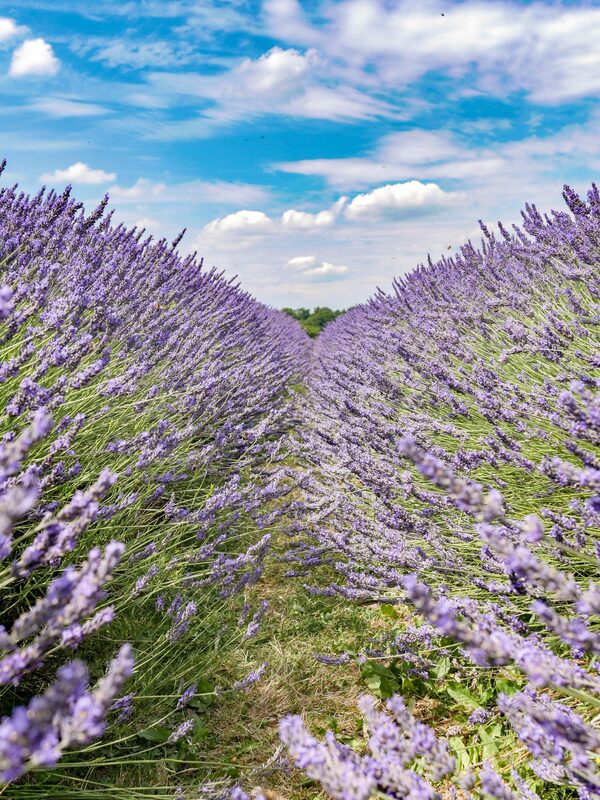 Mayfield Lavender is the largest organic lavender farm in the UK and just so happens to be one of the original Victorian Lavender fields spanning across 25 acres where the lavender is farmed, harvested and distilled on site. 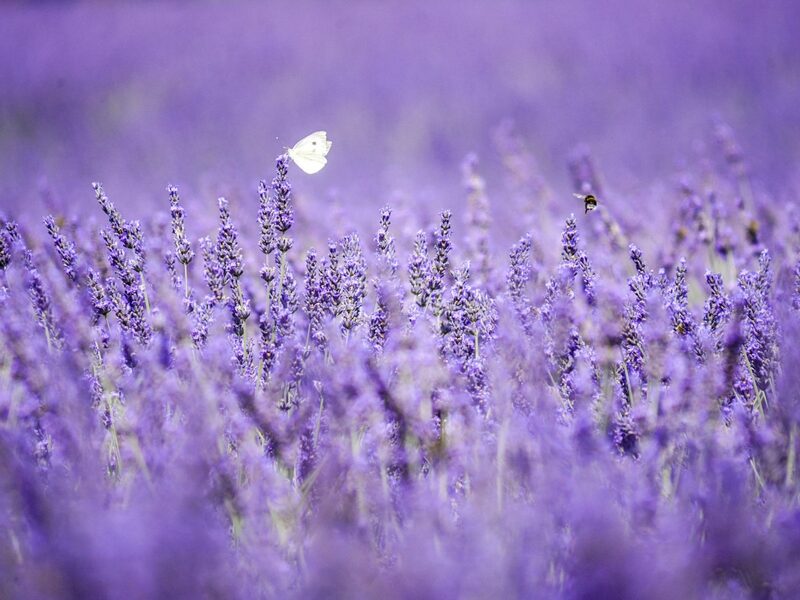 Upon parking up our eyes were fixated on the haze of row upon row of purple. 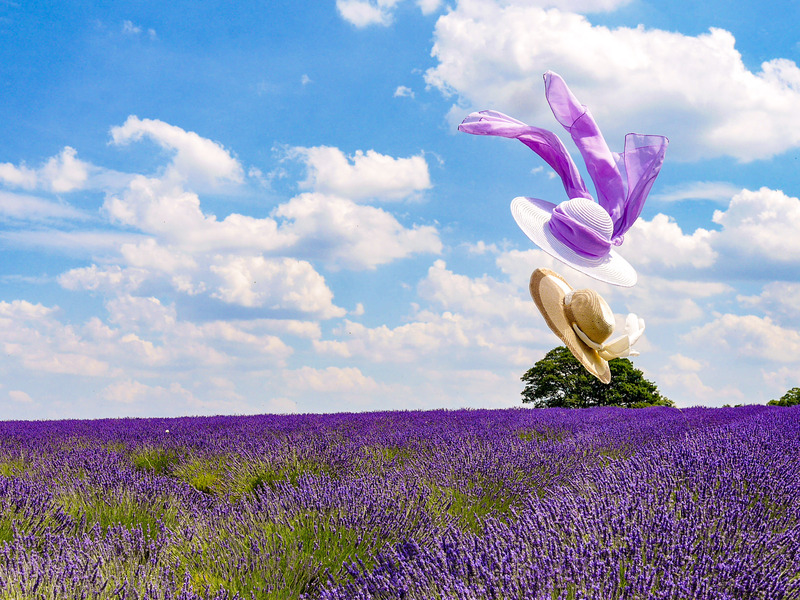 Throwing on our sun hats it was not long before we were out meandering in between the abundant rows of dense lavender, our senses instantly awakened by the fragrant scent that infused the air. 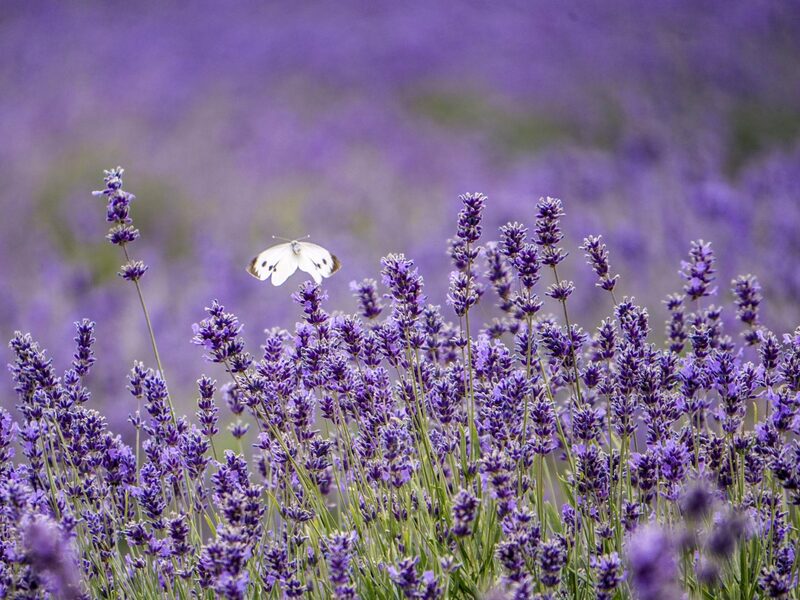 All around our legs there was a constant calm buzzing of happy bumbling bees, as well as butterflies and wasps. After spending time in the field taking in the sights and the scents surrounding us while shooting away with the cameras, we were in need of some lunch and made our way across the field to the café. 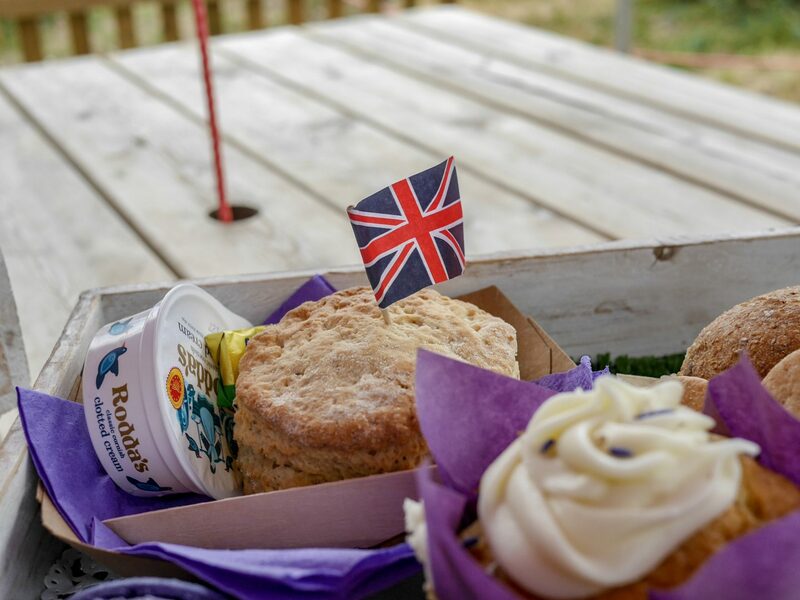 Here we were delighted to be presented with a beautifully put together tray of afternoon tea. We were then seated in an exclusive cornered off section in the field. 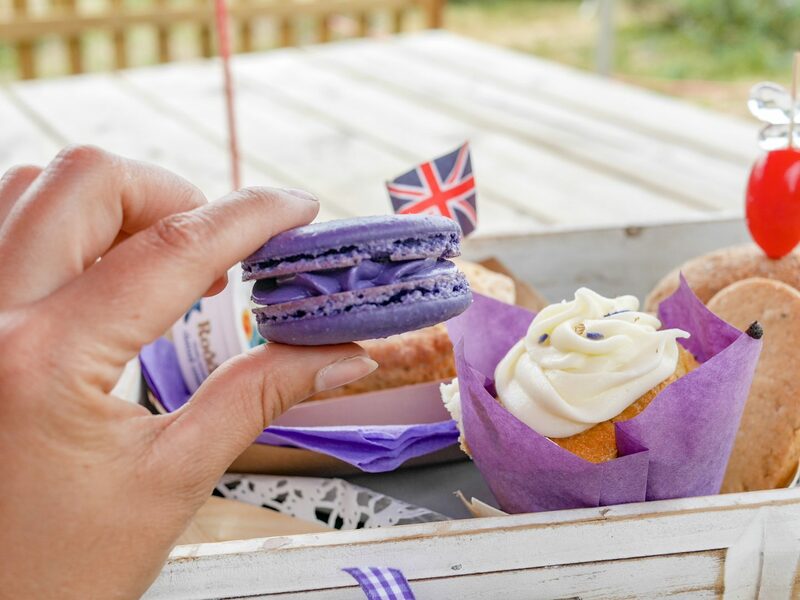 Our afternoon tea tray consisted of a home-baked lavender scone, jam, clotted cream and butter, lavender fairy cake, lavender macaron, lavender shortbread and lavender fudge, and a lavender cheese and chutney sandwich, served with a choice of tea, coffee or Lavender Lemonade and a glass of bubbles. We did have to have a giggle at ourselves as Lili opened up a vanity mirror and suggested that despite applying copious amounts of sun cream we had managed to get more than a little burnt. This was until it dawned on us that we were simply glowing due to the colouring of the gazebo under which we were seated! We both breathed a sigh of relief at this. 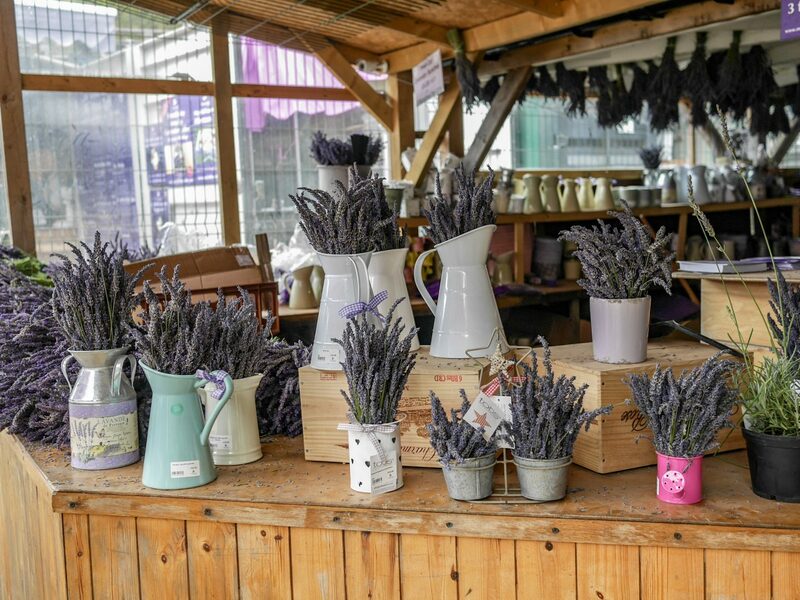 Refuelled and somewhat heavier than we arrived, we entered the farm shop which sold every kind of lavender based product you could possibly imagine; the smell in the shop was incredible. It was then back across the field to the car to head home, both feeling calm and happy after a wonderful afternoon together in a purple paradise. 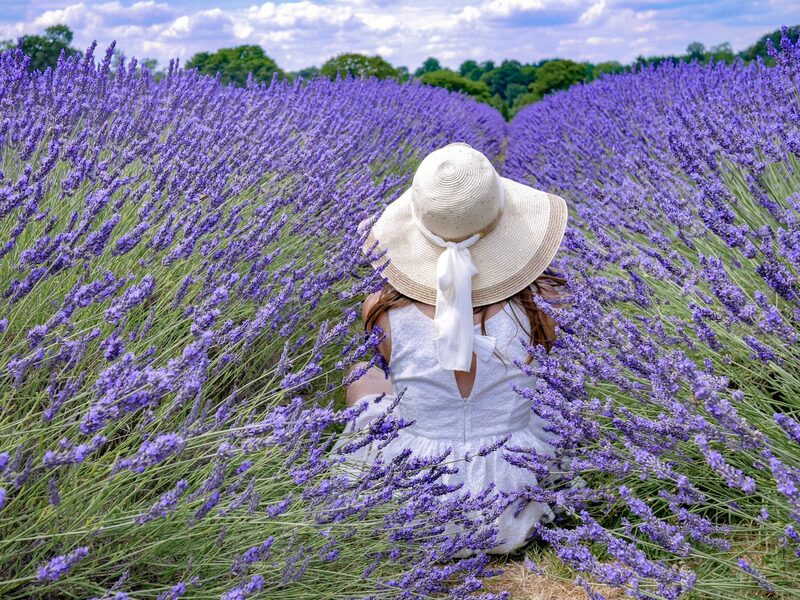 If you want to wander through lavender fields yourself, there is still time as lavender usually flowers from mid-June through to mid-August, depending on the weather of course. 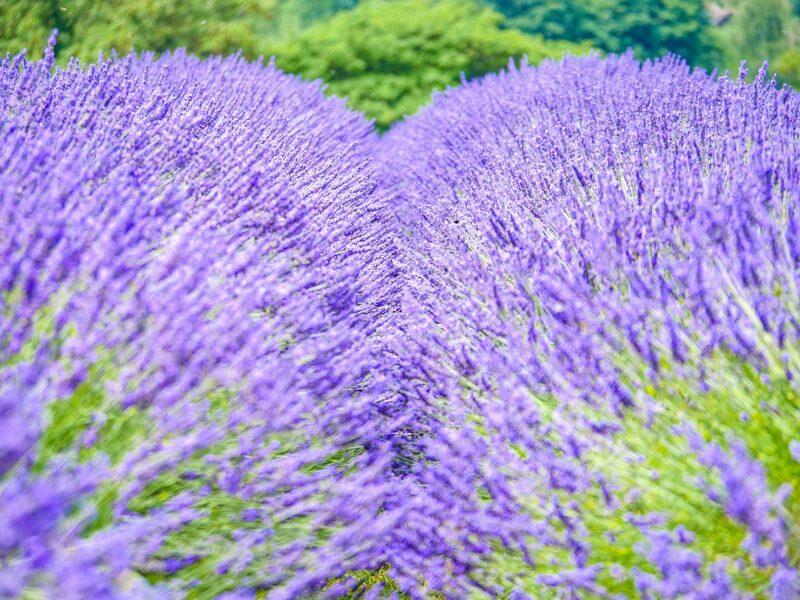 Both the lavender fields I’ve visited got very busy (and very quickly too) so I would recommend early arrival if you can.